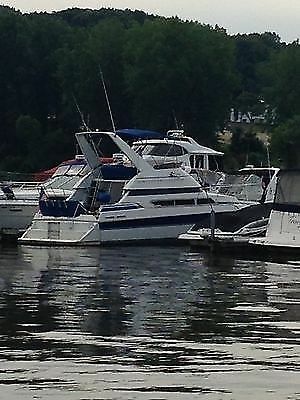 1996 Carver 370 Voyager 1996 37' Carver 370 Voyager flybridge sedan. 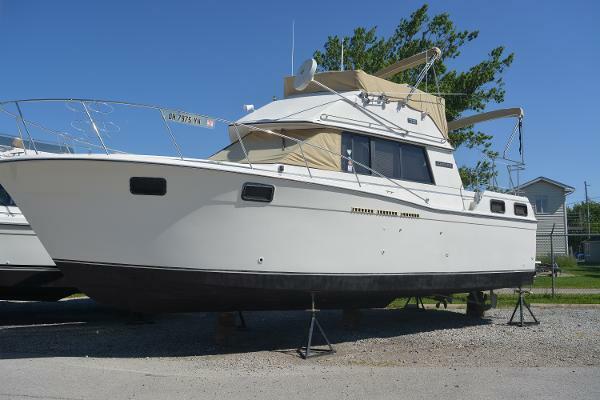 T/Crusader 454XL/320 hp inboards. NEW REDUCED PRICE ON 3/2/2017 ! Fresh water local boat. Kohler 6.5 KW generator with only 30 hours. 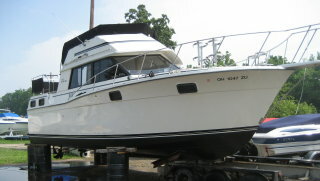 She has just been hauled for the winter months and placed in heated storage. It can be viewed with an appointment all winter long. 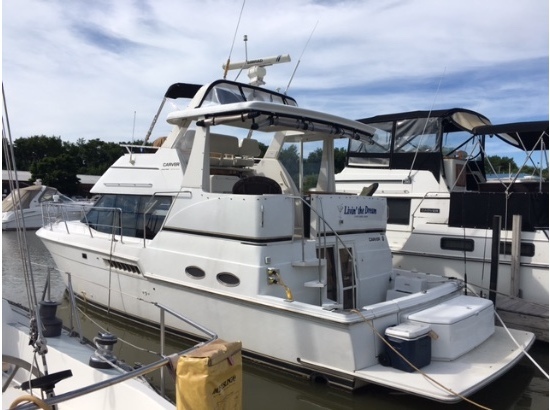 Some features and options include, an anchor windlass, remote spotlight, full bimini top with enclosure, fore deck cushioned sun pads, transom hot/cold shower, sleeper couch in the aft cabin, T.V., full size refrigerator/freezer, convertible dinette, stereo system, all of the original Carver manuals, alcohol/electric stove top range, hot water tank, port side cabin w/bunk sleepers, an island style V-berth, water and holding tank monitoring system, electric head, battery charger, tabs, engine synchronizer, Garmin 740S GPS map, VHF, digital sounder a halon fire system and many other options! Owner has paid for the 2016/17 heated storage in full for the new owner. 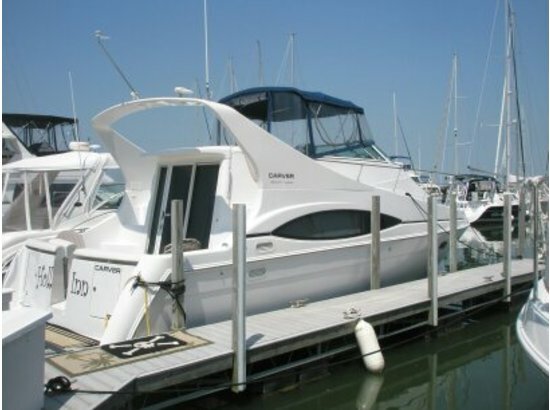 She can be seen with an appointment during the winter season. Call for more details. 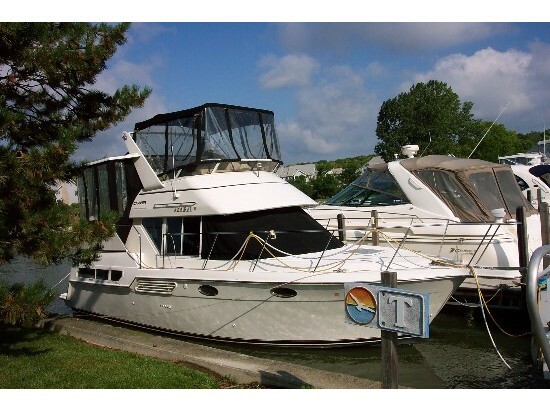 2001 Carver 46 MOTOR YACHT, Always fresh water motor yacht with great accommodations. Has enormous full-width salon, walk around beds and 2 full heads. 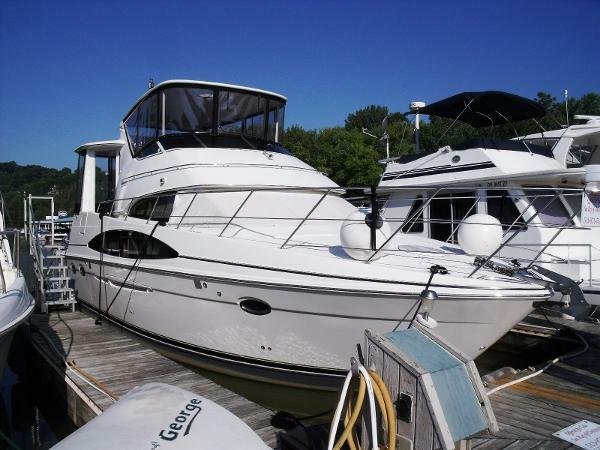 Wonderful cruising yacht with roomy flybridge. Trades considered. 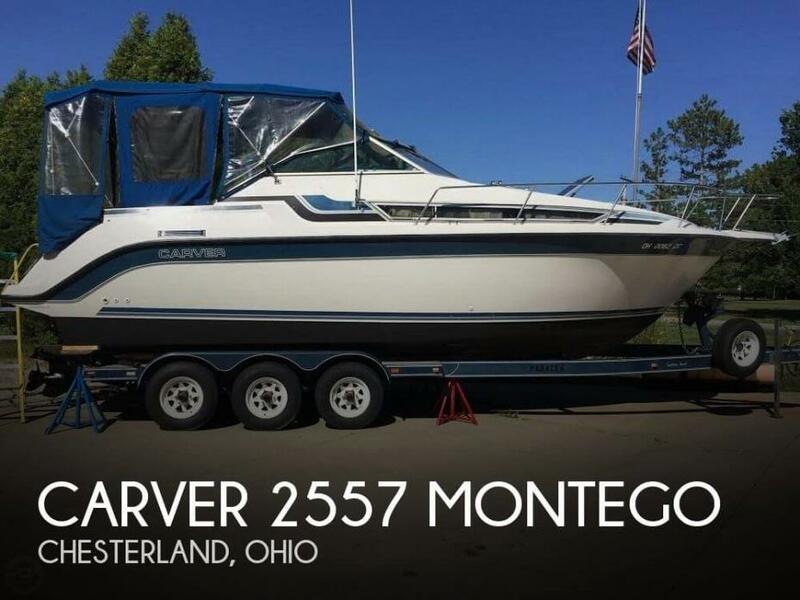 2004 CARVER YACHTS 444 ES Cockpit Motor Yacht Very nice, one owner example of this roomy Carver 444 Extended Salon Cockpit Motor Yacht that has lived an easy life right here on the fresh water Ohio River! 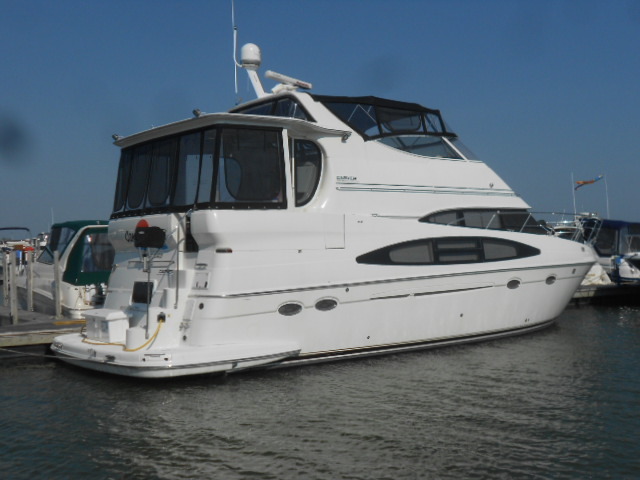 Unique feature on this particular vessel is the custom bridge hardtop that is beautifully done! 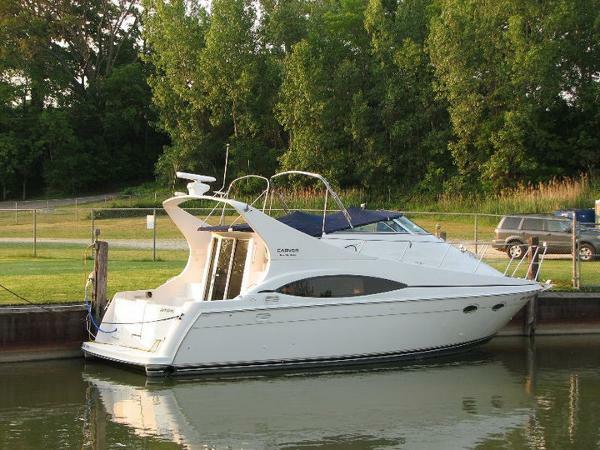 Powered by a pair of Volvo Penta TAMD63P diesels that only have 225 hours of total time. 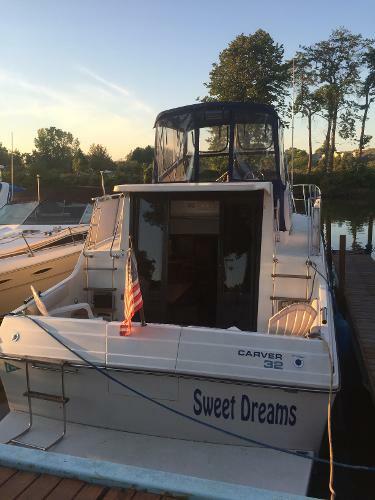 Boat is well equipped including the following:T/S Volvo TAMD 63P 370 HP Diesels w/225 hours10KW Kohler Gen Set w/Soundshield - 695 hoursOil Change SystemFire Suppression in Engine RoomRay Marine C90W Radar/ChartRay Marine ST60 Depth FinderRay Marine Ray 55 VHFKVH Self Tracking Sat TV AntennaBow ThrusterWindlassRemote SpotCustom Aluminum Hardtop w/EnclosureAft Deck Hardtop w/EnclosureClarion CMD6 AM/FM/CD Stereo on BridgeBridge Wetbar w/IcemakerExterior Snap In CarpetUpdated Samsung Flat Panel TV/DVD for SalonSalon AM/FM/CD Stereo - Clarion CMD6Incliners in Port Salon Ultra-Leather SofaHide-a-Bed in Starboard Salon Ultra-Leather SofaFlat Panel TV in Forward Guest StateroomFlat Panel TV in Master StateroomNova Kool 110/12V Refrigerator w/Separate FreezerMicrowave/Convection Oven3 Burner Electric StoveCoffee MakerVacu-Flush Heads w/Holding Tank and OBD The Carver 444 Extended Salon model has a stunning amount of room for a boat of this size! The salon is massive and you still have 2 very nice staterooms with private heads/showers! 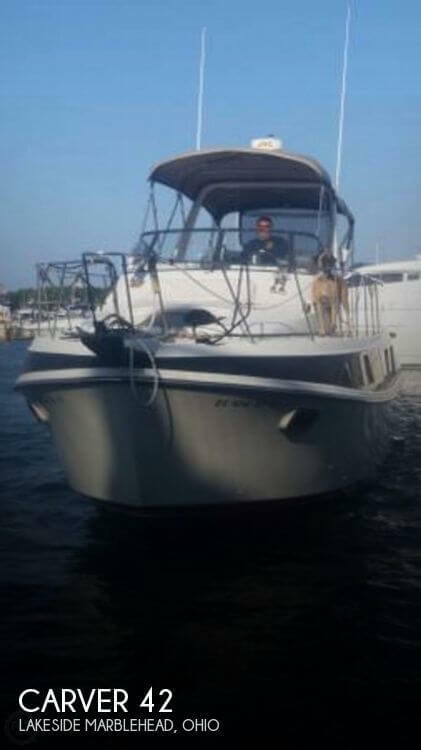 The aft cockpit makes the boat much easier to board and it also provides a great environment for water activities. 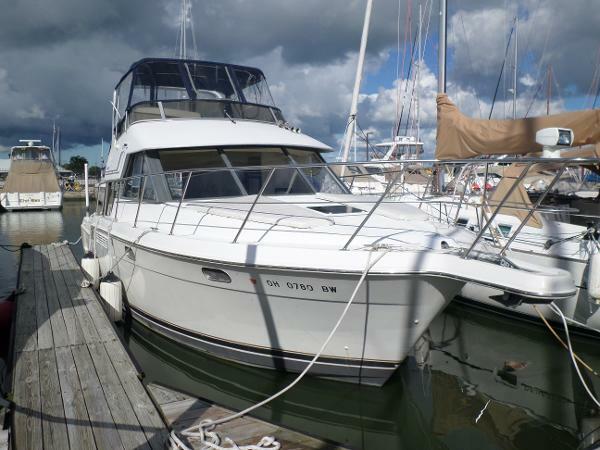 This particular vessel has been beautifully maintained by its sole owner and it shows. Call today for additional information or to schedule a showing.